Ah, P. G. Wodehouse. I actually read some of the Jeeves and Wooster books a number of years ago; back when I first fell in love with the TV series. But it was so long ago, I can't remember which I read and which I didn't, so I am gradually hoping to read all of them again. This is one of my favourite stories, where Bertie must steal the silver cow creamer. Wodehouse is always such a pleasure to read as his prose is witty and light-hearted with plenty of humour to keep you smiling. It was a joy to follow the exploits of Bertie and Jeeves once more and it was a nice change of pace from some of the other books I've been reading lately. Good show and I hope to grab some more of the books soon. 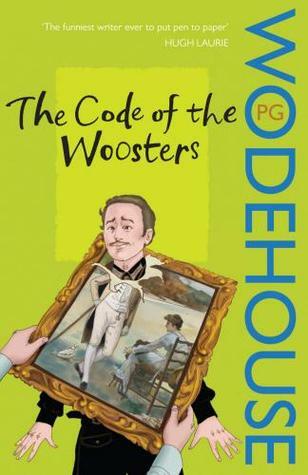 If you don't know Wodehouse's work, I really can highly recommend it as a light comedic read. The cow creamer story is one of my favorites too. I have a number of Wodehouse, he's not only one of my favorite writers, but a major influence in my own writing! I love the series as well, what's not to love? Hugh Laurie and Steven Fry! The Blandings series is also hilarious! He would be on my list of dead people I wish I could meet and have dinner with! Great blog, Nicki! I forgot all about this book until I just saw your blog post. I LOVE LOVE this book! This makes me realize I have been reading way too much YA lately!